Nose surgery in Mexico, also known as Rhinoplasty Mexico, is designed to modify bone or soft tissue defects which can ultimately correct and improve the nasal tip or bridge, reduce the size of nostrils, change the size or angle of the nose, ultimately achieving a more balanced harmony in the face. Rhinoplasty in Mexico is not only performed for aesthetic purposes, but is also performed for pure medical reasons; to correct functional problems and improve respiratory function. With the help and support of one of our elite Reveert plastic surgeons, you will be able to make an informed decision about your nose surgery in Mexico. But first you must determine the following: the physical changes you would like to see and your expectations of traveling to Mexico for plastic surgery. You will be asked to review and fully understand the information provided by your assigned plastic surgeon for you to gain a clear perspective of your surgery in Mexico. For example, are you undergoing rhinoplasty surgery in Mexico to achieve aesthetic changes or are there actual internal problems and breathing difficulties you would like to treat? You will undergo medical examinations to determine your health status. These examinations may include lab work and a preoperative cardiac evaluation; if required by your Reveert plastic surgeon. Plastic surgeons at Reveert will take before-surgery pictures to best evaluate the areas of concern and further advise on the treatments and techniques recommended, details about rhinoplasty surgery including incisions and location of these incisions, surgery risks and side effects, pre-operative and post-operative care, as well as nose surgery recovery time. Following this discussion, we will schedule your surgery date and you will be given all the necessary information to be prepared for your rhinoplasty surgery in Mexico. You will be given medical treatment, analgesics, anti-inflammatory and antibiotics, as directed by your surgeon. Your first follow-up appointment will be scheduled. As with any surgery, there are risks which will be evaluated and discussed during the initial consultation phase with your assigned Reveert plastic surgeon, some of which are vital because of your medical history. Some risks or complications of nose surgery in Mexico may include nasal bleeding and allergic reactions. How long does Nose Surgery in Mexico take? 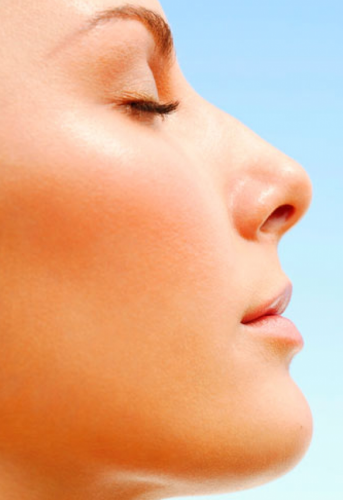 Nose surgery in Mexico lasts approximately 2-3 hours. What type of anesthesia is used during Nose Surgery in Mexico? The type of anesthesia used in nose surgery in Mexico is local anesthesia and light sedation typically known as "twilight" sedation. Nose surgery in Mexico can be done on an outpatient basis or you may stay overnight in the hospital, depending on the advice given by your Reveert plastic surgeon. During outpatient nose surgery in Mexico, you will stay in the hospital until full effects from the sedation have worn off, which is anywhere between 2 and 4 hours. In addition, your first follow up appointment with your Reveert plastic surgeon will be scheduled. Additional follow ups may be conducted via Skype and telephone conference. How Long Does it Take to Recover from Nose Surgery in Mexico? Recovering from nose surgery in Mexico is gradual and will depend heavily on the post-operative care. After 1 week, you may return to your normal activities. You may experience bruising and some swelling for several days and will have to wear a splint that can be removed in 7-10 days. You can typically resume exercise after 4 weeks from your surgery date; however you must consult your plastic surgeon at Reveert for details. You should avoid sun exposure for the first 3 weeks. Will the incisions from Nose Surgery in Mexico be visible? Plastic surgeons at Reveert take pride in using minimal incision techniques in any given cosmetic surgery to achieve the most natural-looking results. Incisions made during rhinoplasty surgery in Mexico are usually placed inside the nostrils to reduce visibility. When will I Start Noticing the Final Results of Nose Surgery in Mexico? Inflammation will take several weeks to subside after nose surgery in Mexico. You will start observing the results of your nose surgery after 3 weeks and the final results will appear within 6 months.